Chevron Pulley: Invented at Superior in 2007, this unique v-shaped wing pulley deflects oncoming rocks and other material, which prevents it from trapping between the pulley’s wings. No rocks in your pulleys means longer lasting conveyor belts and pulleys. Moxie Roll: Made from a composite blend, this steel alternative idler sheds sticky material to maintain properly tracked conveyor belts. The rolls are 50% lighter and at least three times quieter than steel. High Performance DT Idler: For improved performance in high capacity applications, the double tube (DT) design features inner and outer tube construction for increased rigidly and better bearing insulation. Exterra SFL Dual Belt Cleaner: This one-of-a-kind conveyor belt cleaning solution is a primary and secondary scraper sharing one mounting pole. This allows for quick, uncomplicated installation. Tension is set just once – at installation – and automatically maintained for the life of the blade. In addition to these products, Superior plans to showcase videos and presentations of all its products including crushing, screening, washing and conveying equipment for bulk processing and handling of materials in quarries, mines, and marine and rail terminals. A dozen product and applications experts will be available throughout the duration of the bauma. From Rock Face to Load Out, Superior Industries engineers and manufactures groundbreaking bulk material processing and handling equipment and cutting-edge wears and spares. 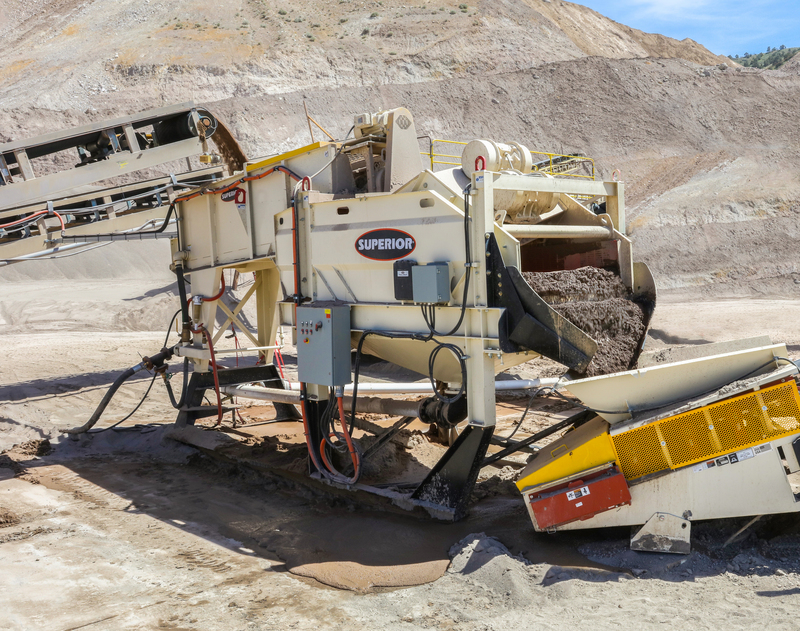 From its headquarters in Minnesota, USA, the 47-year-old manufacturer supplies bulk crushing, screening, washing and conveying systems to industries like aggregates, mining, bulk terminals, agriculture, power and biomass. In addition to its home plant, Superior operates from ten additional manufacturing facilities in the United States, Canada and Brazil. An office in the United Kingdom manages most of the company’s European sales opportunities.